Have your own hive of bumble bees hanging from a baby mobile, sitting safe and sound on your dresser, or hanging on your back pack! 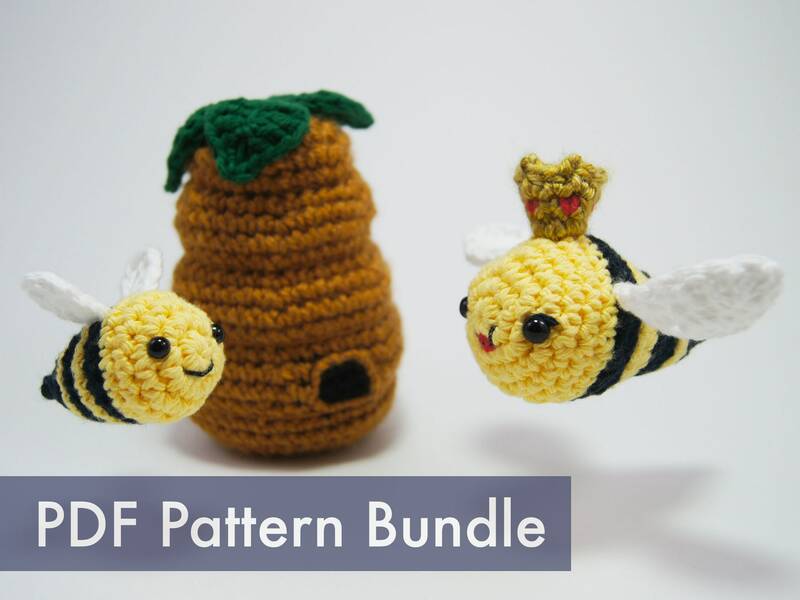 These crocheted bumble bees amigurumi measure from 2 to 5 inches long when finished and includes a unique video tutorial for each pattern to help you get through the tough parts! I learned how to crochet from the beginning and made these adorable bees and beehive with just Louie via the videos on the YouTube channel. I'm so thrilled with the mobile I made for my son's nursery. So much more meaningful that I made it! Thanks, Louie! Me encanta el patrón. Las instrucciones están bien explicadas, y los videos son muy buenos, así es fácil de seguir las instrucciones.